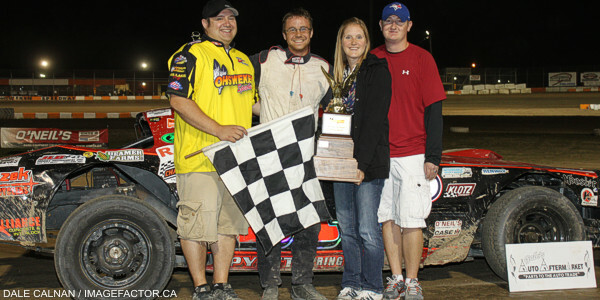 Ohsweken, Ontario – August 26, 2013 – The 9th annual Canadian Sprint Car Nationals weekend at Ohsweken Speedway is coming up next month, and preparations are well underway for the track’s signature event. The deadline for competitors to register and pay the discounted entry fee is September 1, 2013. Entries can be filed by mail, or e-mail, with payment methods including cheque, or credit card (call 1-855-448-3478). Click on the “Competitors Info” link on www.OhswekenSpeedway.com for more information, print the entry form, and to view the rules, format, and more. 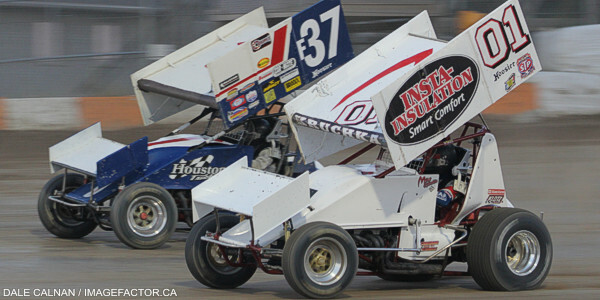 20 drivers have already filed entries for the Canadian Sprint Car Nationals, including 2009 and 2010 winner Shane Stewart of Bixby, Oklahoma. Reserved seat tickets are available in the top 6 rows of all sections in the main grandstands for the Canadian Sprint Car Nationals presented by Arrow Express on Saturday, September 14, along with all of sections F and G. Saturday, September 14 reserved seat tickets for Adults, Students, and Seniors are $41.50, while Saturday, September 14 reserved seat tickets for Kids age 12 and under are $6.50. General admission tickets for the Canadian Sprint Car Nationals presented by Arrow Express on Saturday, September 14 are $25 for Adults, Students, and Seniors, while general admission tickets for Kids age 12 and under on Saturday, September 14 are FREE! 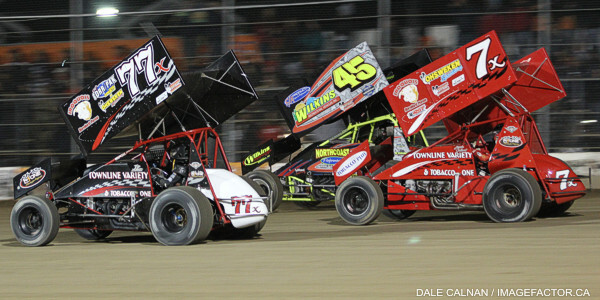 “Night Before the Nationals” presented by Burger Barn general admission tickets for Adults, Students, and Seniors are just $15, while Kids age 12 and under are FREE! Purchase your reserved seat for Saturday, September 14 before Monday Sept 9 and get a ticket for Friday, September 13 FREE! About Burger Barn: Burger Barn opened in July 2011 at 3000 Fourth Line, just a few miles from Ohsweken Speedway. The restaurant is owned by Jason Hill and his wife Celestey, and has quickly gained a reputation for large portions, friendly staff, great food, and fair prices. Tips from satisfied customers even led Food Network Canada to feature Burger Barn on their show “You Gotta Eat Here”. Burger Barn takes pride in their product, and they never get tired of hearing “That was the best burger I’ve ever had”. Their menu also includes all-day breakfast, wings, chicken burgers, fish and chips, pulled pork, daily specials, and much more! Visit www.BurgerBarn.ca for more information. 2011 – Sam Hafertepe, Jr.